It’s been more than a while since my last posting here, due to a combination of lack of time, writer’s block, rich (to an intolerable level) actuality and procrastination. However, in the meantime I’ve shared tens of articles in TWTP page in FB and I urge you (because it is worthwhile) to follow the site there, if you also want to read a rich and essential selection of articles, news and analysis. This morning, TV presented the recent and notorious #dieselgate, the attempt of the industrial giant, Volkswagen, to mislead and deceive consumers and authorities about the real emissions of their cars. Consumers buy low-emissions cars, either because of financial reasons or, hopefully, because they want to contribute in lower emissions, less CO2, saving the planet, i.e. environmental awareness. They have been fooled and betrayed and in their turn and unwillingly, they betrayed the cause. States and authorities, very unwillingly, struggle to match profits of industries with laws about the emissions. For this reason they have set standards. They have been defrauded. Environmental groups and organizations invest all their lame (not by their own fault) influence and contribution to the cause of saving the planet to be defeated, like many other fights, in the name of profit. They have been mocked and disregarded and their hardly achieved victories have been “zeroed”. 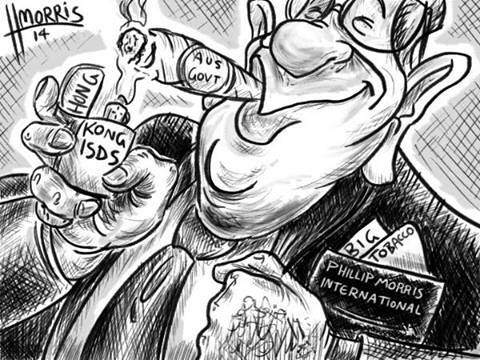 It is considered highly probable that Germany itself is under pressure (blackmail) from USA to push/force/impose consent inside EU legislative bodies and member states to sign the Transatlantic Trade and Investment Partnership (TTIP), the well-known threat on economy, civil rights, public health and, eventually, democracy in EU. The old and “traditional” industrial giant of Germany is said to be in “existential” danger because of the scandal, they have lost their credibility, their stocks fell and the factory could stop working and producing. Skilled workers are threatened with unemployment and even worse, into current economic climate. The giant will survive, I could bet much on that, the, real responsible or scapegoat, CEO will not … starve but workers will suffer psychological blackmail to “save their jobs” by accepting cut of their wages and even “limited and targeted” dismissals. What is ironic if not tragic here is that the workers inevitably connect their lives with the industry, the cheating, unlawful, inhumane organism which nevertheless has giant profits. The need for work could drive any worker and employee to disregard one’s consciousness, views or ideals. After all, that’s the ultimate role and purpose of (manufactured) unemployment within EU and wherever neo-liberalism is ruling and governing. So, while environmentalists protest outside Volkswagen, workers and residents of Wolfsburg are terrified by the ominous prospects for their place, their works or their businesses. A similar situation applies at Skouries, Chalkidiki, Greece, where the gold mining has disastrous effects on environment but the workers (think that) they defend their jobs but unwillingly they fight in favor of the interests of the Canadian company and against their children’s future. who or whatever we, all the people, decide. A few days after posting this article, revelations show that European Commission knew and covered the fraud. On 8th April, a few days before Orthodox Christian Easter, Greek Prime Minister Alexis Tsipras visited Moscow, the capital of Russia, and met with Russian president Vladimir Putin. While this was “one of the many visits” that the new Head of the Government of any country is expected to carry out (a few days earlier Mr. Tsipras had visited German Chancellor Angela Merkel), it proved that this specific travel to Russia has triggered disproportionately many reactions, especially among the officials of the EU. For example, the president of the European Parliament, Martin Schulz, felt obliged to warn Greek Prime Minister not to “endanger” the common European policies against Russia. Although we shall not analyze in this article the issue, the background, the expediency, the appropriateness, the ultimate purposes and the side effects of these policies, it is worth noticing that neither the president of the E.P. nor any official of a country or an institution has the right to “warn” the leader of a state about anything. After all, in which way Mr. Tsipras could endanger the supposedly solid and righteous policies of EU? Could Greece unilaterally lift sanctions? It is proved they cannot. If any unilateral action could be taken, Russia would have possibly agreed to lift sanctions against Greek agricultural products, a disastrous side-effect of sanctions of EU against Russia. Even the use of the word “controversial” by Media seems having the intention to creating negative impressions. These reactions combined with a few other aspects of the conversations between the two leaders, worth some further analysis. One of the dominant subjects discussed, according to the two leaders’ statements, has been the construction of a pipeline which will transfer gas within Greek territory and will be the extension of the pipeline which passes through Turkey. While the profits deriving from this pipe are connected and are relative to energy sufficiency and autonomy for Greece, as Alexis Tsipras stated, there is a question about this project and this question has to do with the promoted Energy Union project which was launched in March 2015 by the EU. Apart from any other (many) controversies of this Union which has been questioned by scientists, its so-called environmental profits are also questioned. Additionally, the target of 20/20/20 includes measures for climate. To this controversy, we have to add the controversial or even catastrophic results of earlier “unions”- such as Agricultural, Monetary etc- for the weaker, less populated and with “obedient” neo-liberal governments, member-states. Energy Union, not accidentally at all, followed sanctions against Russia and coincides chronologically to the discussions of infamous Transatlantic Trade and Investment Partnership (TTIP) between EU and USA which until now has not been signed mostly because of German objections, no matter how calamitous the agreement has proved to be. EU is also an “open” market for the Canadian tar sands oil, furthermore in front of the uncertainty about Keystone XL, at least during Obama administration. If and when the terms of the agreement become profitable for Germany et al., it is certain to be imposed to other member-states. 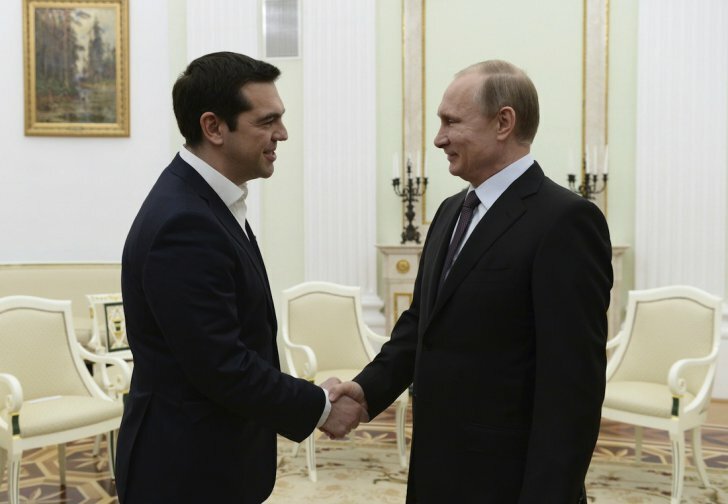 Could Greece sign an agreement with Russia, if it contradicts the terms of the Energy Union? In the same way by which Athens is in fact not allowed to ask money from lenders other than IMF or EU (which is the explanation of the attempt to create climate of fear with “leaks” and publications about Grexit soon after the travel to Moscow), in the same way by which Bulgaria, after the impose of sanctions to Putin and Russia, was ordered to stop the construction of the profitable for the country South Stream pipeline (which bypasses Ukraine and probably because of this reason was undesirable for EU and USA) and was threatened to be deprived of economic support if they denied, in this same way Greece will not likely be allowed to build the pipeline. If all earlier Greek governments had not realized how important the country is or they had chosen not to shield the country’s interests and not to take advantage of their geostrategic place, Prime Minister Alexis Tsipras and the new Greek government, have to play smartly and to use their strong cards for the benefit of the Greek people. Many, inside and outside Greece, could argue that any action not approved by the European partners, could lead Greece outside EU. An ousting of a “disobedient” member would certainly be one more demonstration of punitive policies conducted by Germany et al. On the other hand, the upheaval caused by the visit of Greek Prime Minister in Moscow is a fine example of the fear which is caused to the dominant EU powers when a member-state exercises its right to independent national policy. Mr. Tsipras says (and we believe him) that “wants” EU although, with all due respect, he most likely wants the European ideals of the once preached Europe of the People. The EU of the present much less the EU of the future, is not “of the People”. Even if it is called “EU of the citizens”, in fact it is the EU of the rich and powerful who act according to a political, cultural and ideological conservative conception. The obliged by social conventions not to work member is financially dependent and therefore weaker. This member, the wife in most cases, thinks that she cannot afford to abandon the bad husband. Therefore she suffers psychological blackmail by the owner of the wealth. Instead of an epilogue: If indeed (as it is published) a leader of a European country has warned Alexis Tsipras not to become “useful idiot” for Russia (a phrase falsely attributed to Vladimir Lenin), someone has to tell him or her that potential useful idiots are certainly more decent than useless and volunteer idiots.